Recently, I spoke at the Video Plus University 2013 conference, where I delivered the vision of Solavei to CEOs and senior executives of the top 100 direct sales companies in the world. The presentation was similar to the one I give during our Solavei Socials, but I wanted to share additional details form the presentation. The creation of a Social Commerce Revolution. Solavei was created to fully capitalize on converging trends where consumer behavior gravitates toward saving money, being connected in a social environment, using a mobile phone for primary communication and sharing with those closest to you when you find something of quality and good value. Solavei offers consumers an alternative, a less expensive form of commerce that benefits individuals by moving the millions of dollars spent on traditional marketing and advertising to people. History has shown that in order to create a strong movement, you cannot settle for thousands, you must have millions. That is why Solavei strives to create real positive change in millions of people’s lives across the country with something as simple as mobile service. We have created a low barrier to entry with Solavei, just $49/month for unlimited mobile service and no membership fee. We want to focus on the consumers who share with other consumers. This is a consumer-to-consumer relationship, not business-to-business. Of our members, 90% do not have experience in direct selling, yet over 35% of them have enrolled someone. That’s because Solavei is about sharing, not selling, and has made it easy by creating a platform that empowers its members to share Solavei through the social networks they’re already connected to. It comes naturally to members and we make it easy for them to tell their friends. Mobile service is our first offer. From here we will expand and continue to make everyday commerce less expensive, and even profitable for members of Solavei. We can do this because we do not spend our money on advertising but instead on the best advertisers in the world, people! revolution: activity or movement designed to effect fundamental changes in the socioeconomic situation. Ryan Wuerch, the corporate team, and tens of thousands of members are leading the way with Solavei; changing lives (mine included) everyday and helping people save money first then make additional income. Collectively we work united and push forward with an energy and passion that truly only comes together when the mission aligns with the pure heartfelt purpose of simply doing good and helping others. Yes, Solavei has been that “game-changer” for me. Turning 65 this year, the obvious mindset is to welcome social security as my new stream of income. I’m thrilled to say, because I “naturally” shared Solavei with a few people who wanted to lower their cell phone service, not only am I saving, but I have a sizable monthly income because those few shared. I share….because I care and want to see others blessed. My group has exponentially grown – really beyond my greatest expectation. It is so gratifying to know that I am able to take care of myself with Solavei…..and even leave a legacy for my children and grandchildren. Since Solavei has been in my life, I was able to move into a new home – all the moving expenses were paid by my Purple Pay Card. I was able to buy new furniture and, to top it off, I am able to pay cash for most of my needs without any indebtedness on a credit card, and contribute to many worthwhile causes. I can’t begin to thank God enough for Solavei – it’s been a game changer in my life – and a game changer for the thousands of people that have joined me. Thank you, Solavei for this amazing opportunity! Awesome post Ryan! I was one of those individuals who was introduced to the Solavei Revolution in the Summer of 2012, and did not understand the vision, nor did I want to be a part of it. T simply thought Solavei was just another company that was launching a mobile phone service. I was not interested at all. In late January 2013, I OPENED my mind to take a look at the possibilities of Solavei and realized after a couple of weeks of talking with several Social Members and attending webinars, that the Solavei vision was much BIGGER than mobile phone service, I became a Social Member in February 2013! I simply want to thank you for sharing your vision with the masses! Keep up the great works! 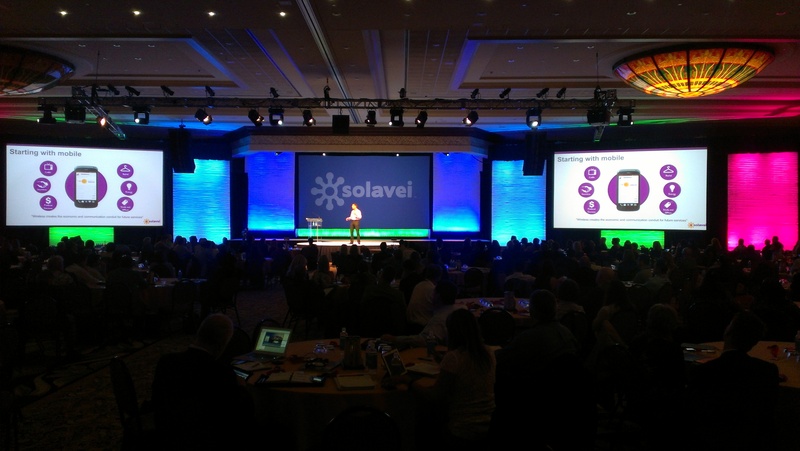 Solavei is indeed a Social Commerce Revolution!!! Appreciate your any magnificent submit. The best place otherwise might any one obtain that type of details such a great way of writing? I own a speech next full week, with this particular on the hunt for such information.